What should I expect on my acupuncture and TCM visit? As with most health practices, the first visit to a TCM doctor usually begins with the practitioner taking a detailed history. What will you expect in our clinic? Depending on the seriousness and the duration of your condition, the length of your first visit may vary – generally one visit lasts for around 50 minutes. It may take several visits to see significant improvement of or cure your condition. 24 hours notice is required for cancelling appointments. Clients who fail to cancel with less than 24 hours before your appointment time, or fail to show up for a scheduled appointment (“no show”) are billed for the full cost of their scheduled session. Please respect other clients’ opportunities of receiving treatments. 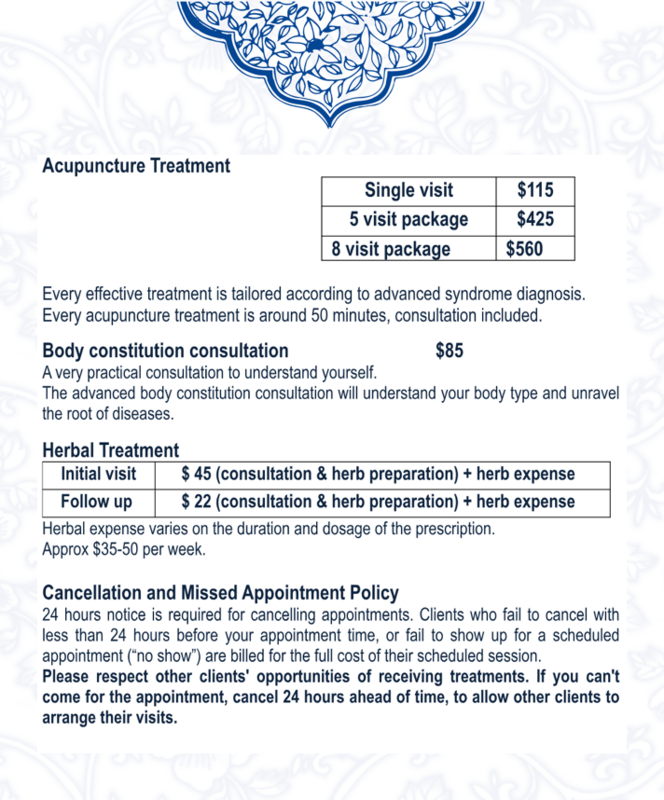 If you can’t come for the appointment, cancel 24 hours ahead of time, to allow other clients to arrange their visits. 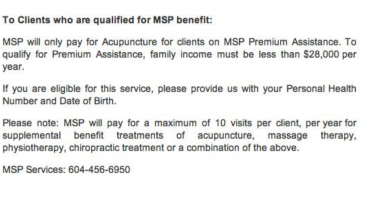 Many extended medical plans cover your acupuncture visits. 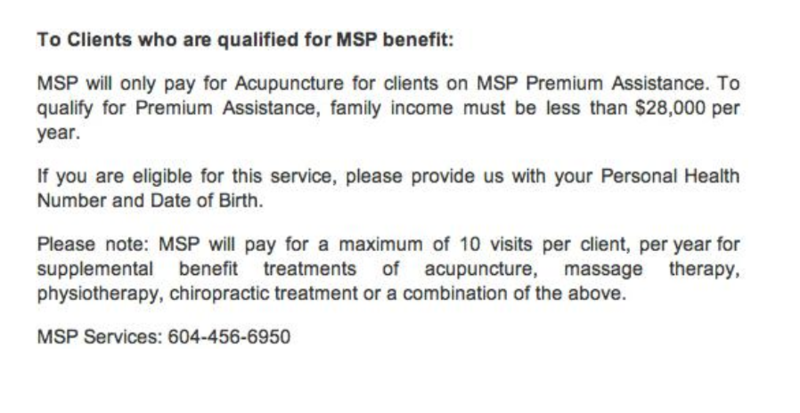 MSP partially covers for the cost of your visit if you qualify for premium assistance under the medical services plan of BC. 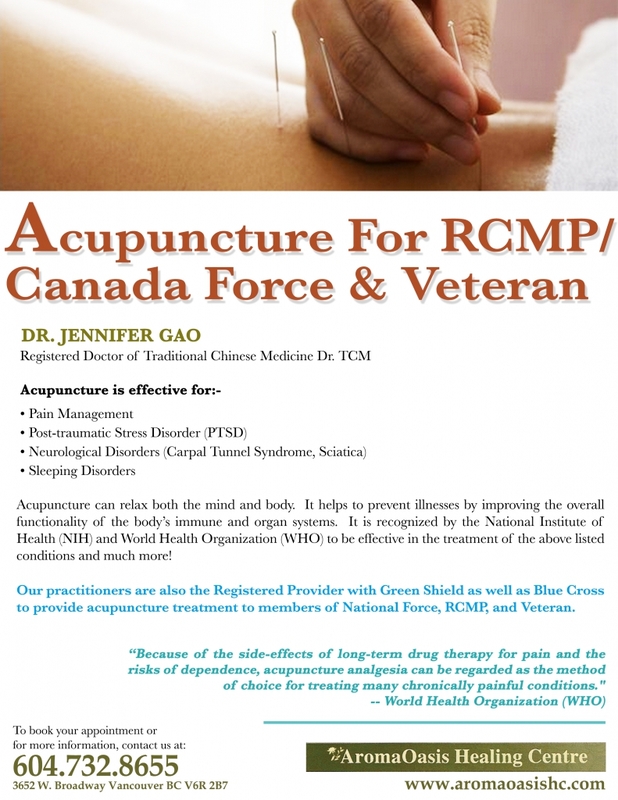 Our practitioners are also the Registered Provider with Green Shield as well as Blue Cross to provide acupuncture treatment to members of National Force, RCMP, and Veteran.